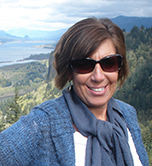 BDM Spotlight - Denise Fraind - Globus Family of Brands, Travel & Vacation Tours. I moved to Florida 17 years ago from Pennsylvania. I was working with Amtrak in Philadelphia and they moved me to Florida as a sales rep (Thank you Amtrak for moving me out of snow and ice) After a reorganization with Amtrak, I was lucky to interview and be hired with Globus & Cosmos in 1999. I will be with the Globus Family of Brands for 15 years this October. It has been a wonderful company to work with and it has also been exciting to see the growth , especially with Avalon Waterways and Monograms. I am truly blessed to work with a company that treats you like family and has taken me to wonderful places, with so many awesome experiences. Currently, I am the BDM with the Globus Family of Brands covering West Coast and Central Florida. I look forward to working with all of you in 2014 and it has been a joy working with TPI for 15 years. 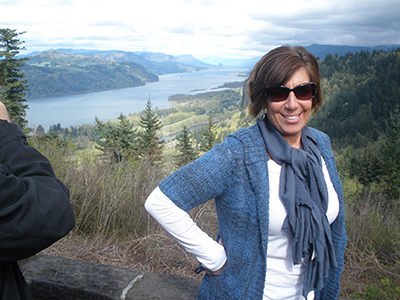 PS the photo is taken in Oregon on one of our sales meetings !